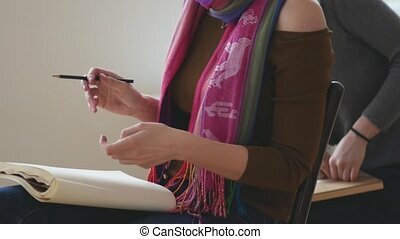 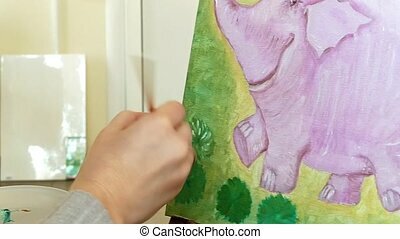 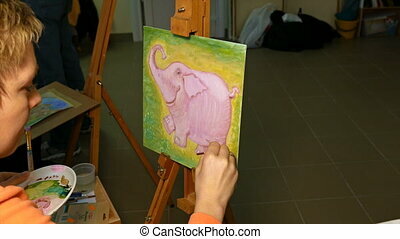 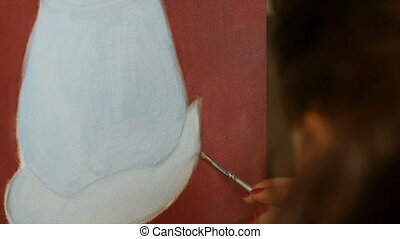 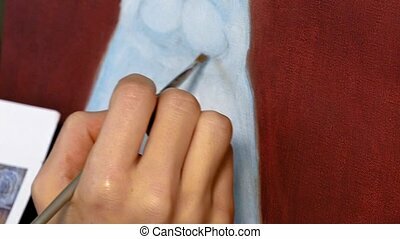 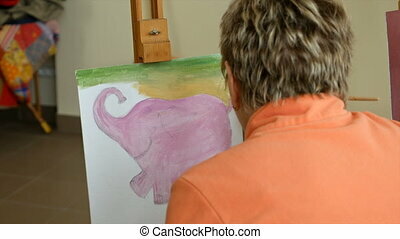 Female artist paints a picture oil painting artwork drawing on canvas easel in art studio. 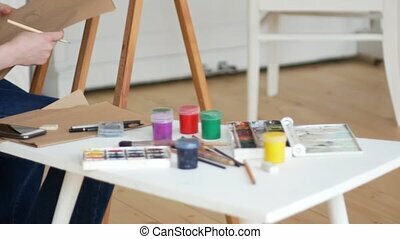 Student girl learning to draw and paint. 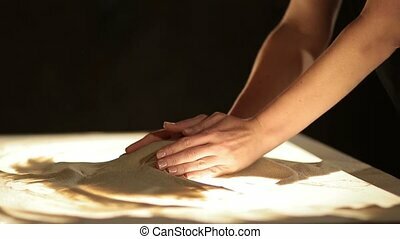 Close-up sand spilling out of female hands against black background in dimmed lights. 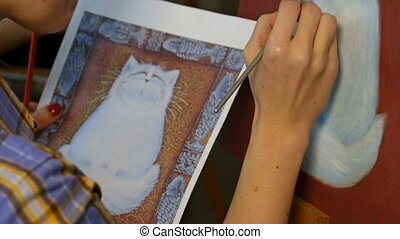 Artist drawing on the sand, creating sand painting. 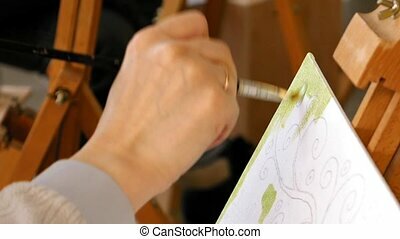 Hands of a female master creating artwork making sand animation. 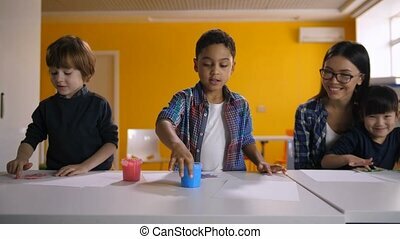 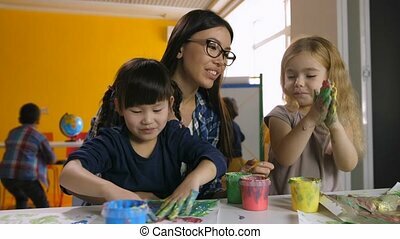 Beautiful mixed race teacher with adorable multicultural preschool girls developing creative abilities through hand painting at art lesson in kindergarten while excited kids playing in background. 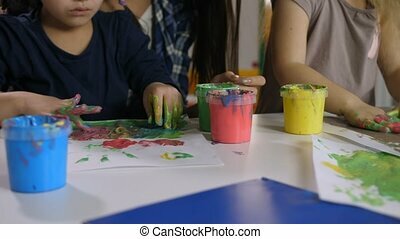 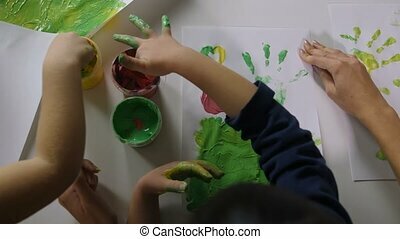 Top view of diverse children hands doing finger painting with various colors on white paper in kindergarten with help of female teacher. 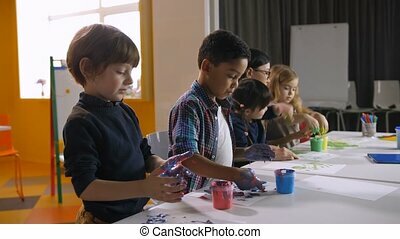 Creative multicultural kids hand painting at art lesson. 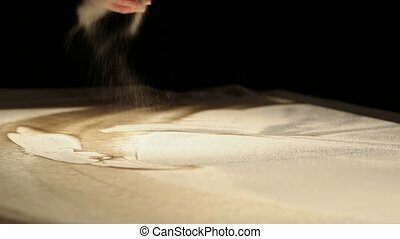 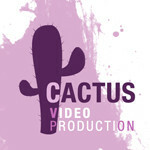 Sand animation. 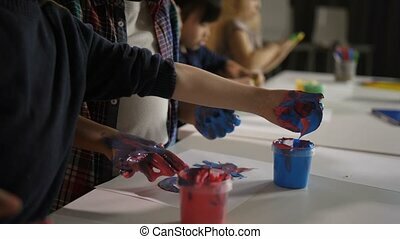 Close-up female hands creating artwork with sand over black background. 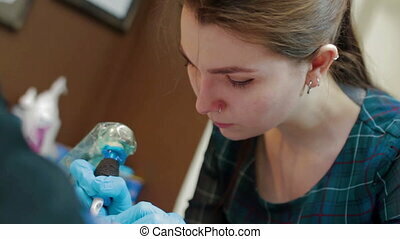 Sand pouring from her hand. 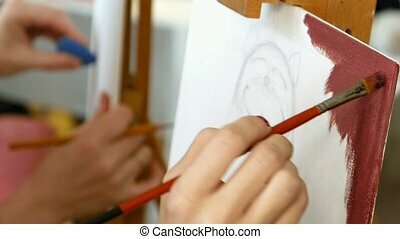 Master of sand animation making a performance.